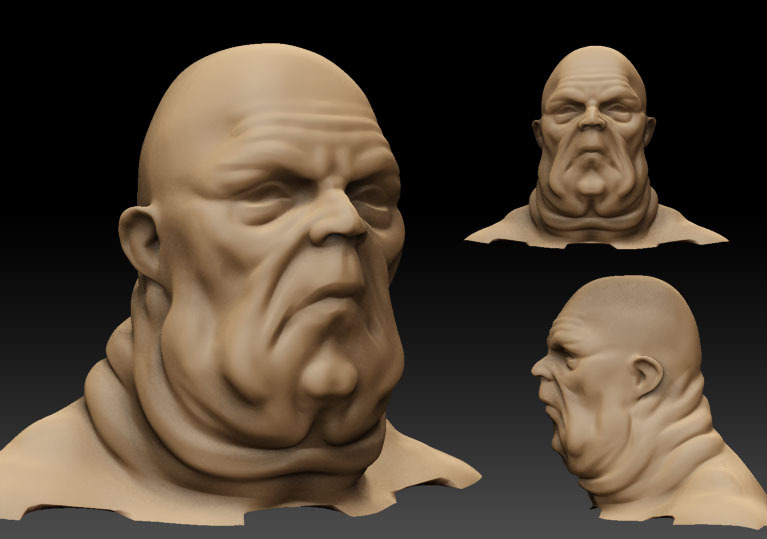 A quick zBrush study for a bad guy I’m working on. Man there is a lot of sci-fi art on the web. Every time I create a mood board I’m just swamped. I was discussing Concept Art with my friend Nick who lectures in Finland. He directed me to this book. The Skillful Huntsman: Visual Development of a Grimm Tale at Art Center College of Design. It’s a great example of how to generate ideas. I found the silhouette studies really inspiring. Shape and feel can be the most important part of the process.